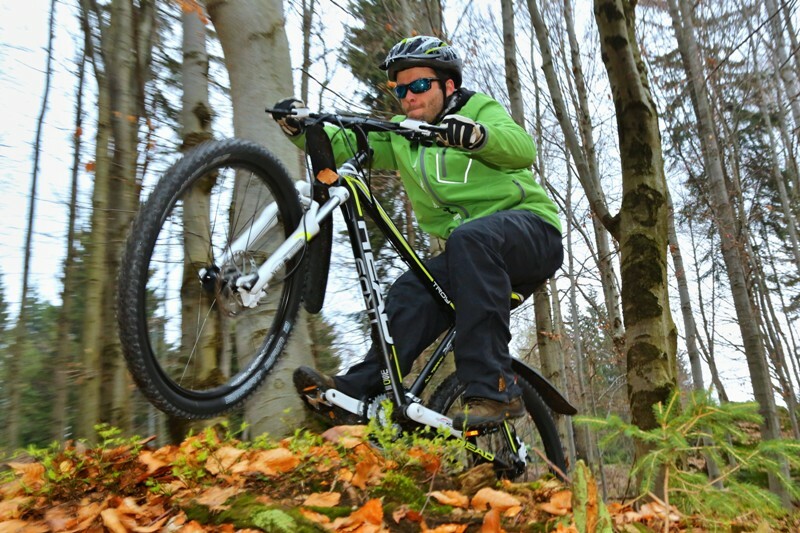 We will rent our tested mountain bike with all the accessories to you at three facilities in Špindlerův Mlýn. 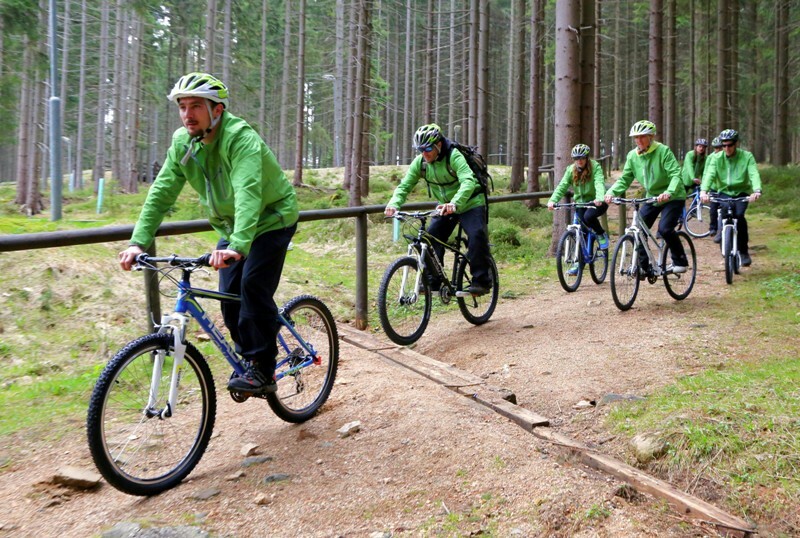 Ride not only on the Krkonoše Mountain tops, where there are 418 km cycling paths set out. 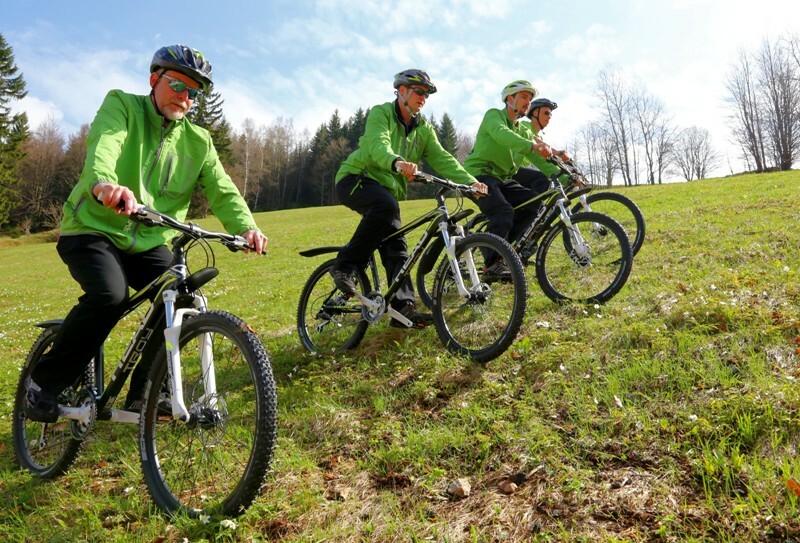 We will be happy to advise you at our facilities in which direction you should go, taking into account your capabilities. 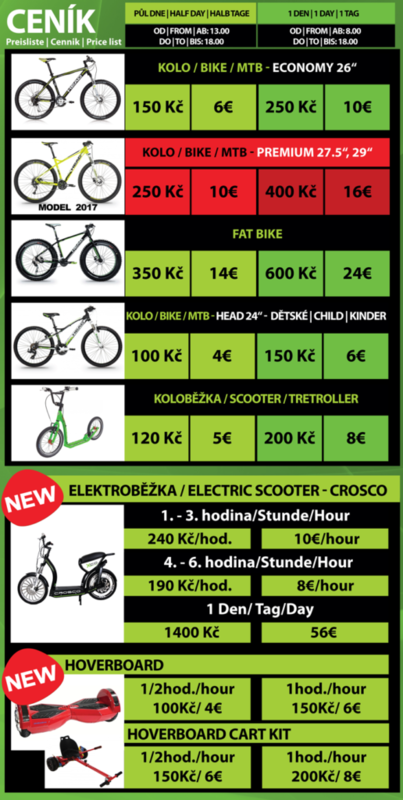 In addition, we can offer a range of Krkonoše cycling maps. Po – Ne 10:00 – 17:00.